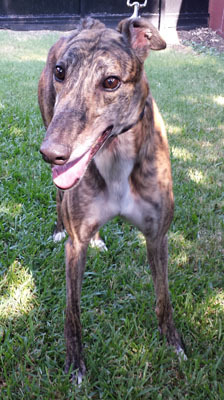 Askew, aka Let Me Ask You, is a 3½-year-old brindle male born October 4, 2009. His sire is Super Lee and his dam is Up N Coming Idol. 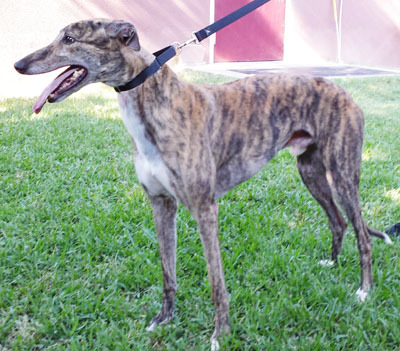 Askew has 85 races on record at Greyhound-data.com. He started his career at Bluffs Run, IA on May 5, 2011, moved to Wheeling Downs, WV, and then finished up in Pensacola, FL on July 13, 2013. He has passed an initial cat test, and is living with them in a foster home.